Are you in search of the best liveaboard destinations to go in February? This is a fantastic time of year to go diving in much of the Southern Hemisphere. But before you go, you’ll want to know which places have the best conditions and most interesting marine life. Here at The Adventure Junkies, we can help you narrow down your choices so you can plan the perfect scuba diving trip! February is the dry season in much of the Caribbean and Southeast Asia. The Galápagos and Cuba enjoy good visibility, while the hot and rainy season in Australia and Fiji is a great time to dive with whale sharks and great whites. Head towards the Turks and Caicos Islands if you’re in search of humpback whales. Australia’s Great Barrier Reef is the world’s largest coral reef system, with almost 3000 individual reefs and every kind of fish you could ever imagine. But Australia’s not just about the Great Barrier Reef – you can cage dive with white sharks off the coast of South Australia, or go cave diving and drift diving in the west. Start exploring with an Australia liveaboard! Summer in Australia has the best visibility and balmy waters, good conditions for reef diving. February is cyclone season in the northern states but offers a chance for wreck diving and cage diving with great white sharks in Southern Australia. Weather conditions off Queensland can be hot and rainy and water temperatures reach 85° F (30° C), dropping to 68° F (20° C) further south in New South Wales. The volcanic archipelago of Fiji is home to a unique assortment of marine life including several dozen endemic species and a generous dose of pelagics. Between the shallow lagoons and the exhilarating drift diving, there is diving here for every level. The country is taking steps to protect its marine environment and with a Fiji liveaboard, you’ll have access to some of the world’s best diving. February is summer and the rainy season in Fiji. During this time, the warm, plankton-rich waters attract whales, whale sharks and manta rays. This also results in reduced visibility, a small price to pay for the calm waters and incredible pelagic life. It also happens to be low season in Fiji, so be on the lookout for great deals. The Galápagos Islands are an isolated archipelago situated at the convergence of three ocean currents. Chock-full of rare and endemic marine species, the islands are famous for being the place that inspired Darwin’s theory of evolution almost 200 years ago. Discover this spectacular underwater world with a Galapágos liveaboard trip! The Galápagos are a hotspot for shark tourism and you can expect to see schooling hammerheads as well as other species during the warm season. Calm waters and great visibility make up for the slightly increased rainfall. Water temperatures range from 70 to 80° F (21 to 26° C), although the Galápagos can be subject to thermoclines. Beginner divers should be aware that many sites in the Galápagos are known for their currents and surges. The Turks and Caicos Islands are the perfect choices for anybody interested in diving off the beaten track. The diving is easy, with splendid underwater landscapes, lively coral reefs and pelagics such as barracudas, sharks and eagle rays. Rumor has it there are even wrecks from the time of Christopher Columbus! Whatever your taste, you’re sure to find it with a Turks and Caicos liveaboard. Water temperatures are pleasantly cool in the dry season in the Turks and Caicos, and you can generally expect visibility between 50-100ft (15-30m) when traveling by liveaboard. Lucky divers will have a once-in-a-lifetime opportunity to see the migrating humpback whales that pass through the area between January and March. Located in the heart of the Caribbean, the dynamic country of Cuba is no less colorful below the water. With a Cuba liveaboard, you’ll have access to protected marine areas which boast healthy coral reefs, mangroves and underwater caves. You might even be so lucky as to swim with a crocodile or two! The dry season in Cuba enjoys calm, warm waters with incredible visibility reaching over 100ft (30m). Outside of hurricane season, February is a great month to visit. Night dives offer the chance to swim with sharks and see another side of Cuba’s underwater world. The archipelago of Raja Ampat is located in the heart of the Coral Triangle, which is known for having the world’s highest marine biodiversity. 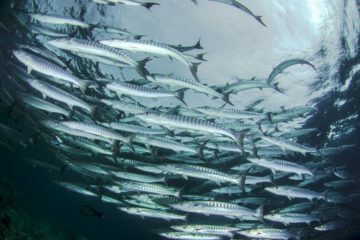 Macro lovers will be delighted with the many creatures found in the coral reefs, while those that favor larger marine life will be kept busy watching the pelagics. A Raja Ampat liveaboard will give you access to the best dive sites among these uninhabited islands. Raja Ampat experiences calm seas, dry weather and a reprieve from the summer winds in February. Since the islands lie on the equator, water temperatures are fairly constant throughout the year at around 28° to 29° C.
The plankton swells that attract pelagic life may have a negative impact on visibility. Although many of the dive sites are suitable for beginners, divers should be aware that waters in Raja Ampat are susceptible to currents. Best known for its macro life, the Philippines is a great place to see gems such as pygmy seahorses and mantis shrimp. But if you thought the Philippines was a one-trick pony, you definitely need to think again. 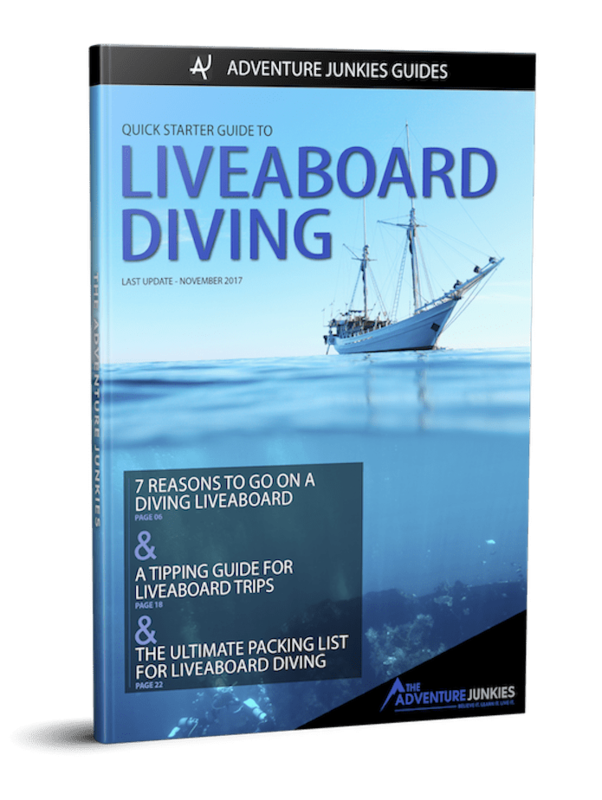 Night diving, cave diving, wreck diving, deep diving and muck diving are all on offer here, making a Philippines liveaboard trip the ideal time to get your advanced diver certification. Tubbataha Reef is closed during this time. Elsewhere in the Philippines, it’s the northeast monsoon season, which brings dry, windy weather and a relief from typhoons. Water temperatures tend toward 80° F (27° C). Visibility in the Philippines is greatly variable depending on the dive site. February is a good time for seeing sharks, rays and seahorses. Diving in India is centered around the Andaman Islands, a remote tropical archipelago with an abundance of protected marine areas. Closed to tourism for 50 years, an India liveaboard will take you to a diving mecca with immaculate coral reefs, ancient shipwrecks, manta ray cleaning stations and pinnacles bustling with pelagic life. Outside of the monsoon season, India experiences dry weather and a reprieve from the wind. Waters are tropical, with temperatures staying fairly constant year-round. 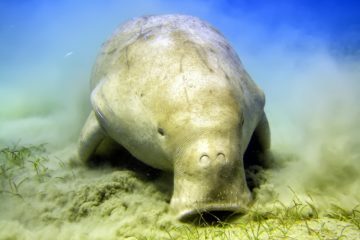 Keep an eye out for manta rays and dugongs in February. This is a good time to dive not only the Andaman Islands but also Goa and Pondicherry. The Maldives is a tropical paradise consisting of 1000 islands spread out across the equator in the Indian Ocean. With a Maldives liveaboard trip, you’ll have the opportunity to drift dive with whale sharks and manta rays. 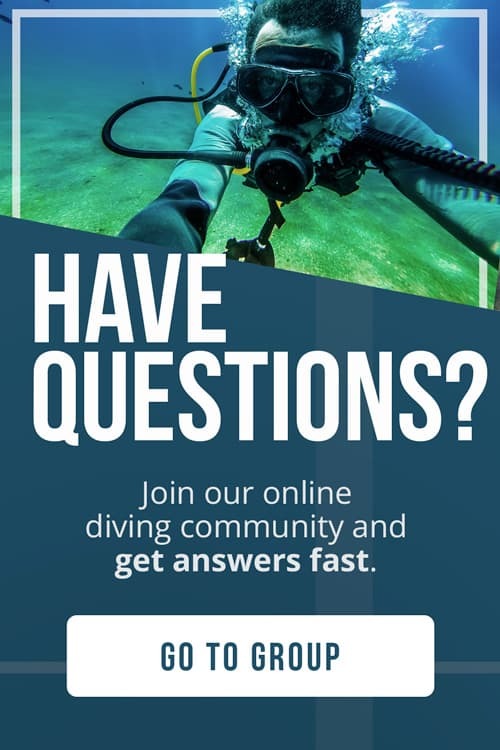 Beginner divers need not worry, as there are plenty of shallow reef dives featuring turtles, eels and schooling fish. 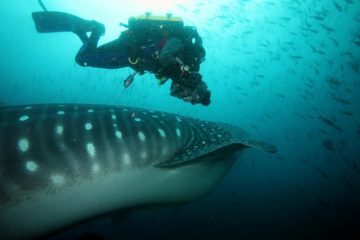 Dry monsoon season in the Maldives brings calm waters and plankton swells which attract whale sharks and manta rays. If you’re after good visibility, you’ll do better on the eastern side of the country. Water temperatures don’t vary much, hovering between 83 to 86° F (28 to 30° C) year-round. This time of year in the southern Maldives sometimes sees water dip to 75° F (24° C). Truk Lagoon is a peaceful lagoon in Micronesia, protected from the ocean by a barrier reef system. But venture beneath these idyllic turquoise waters and you’ll see another story unfold: dozens of shipwrecks, airplanes and other debris left to sink after a bloody World War II battle in 1944. 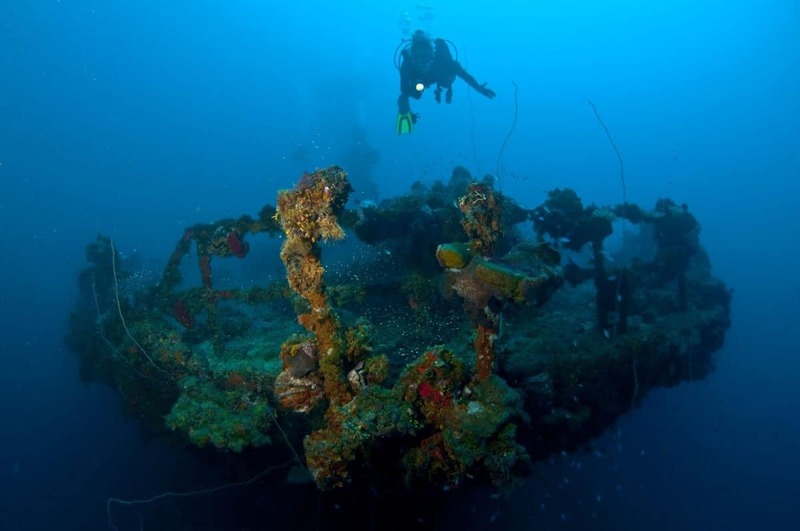 A Truk Lagoon liveaboard will take you to dive sites in what is widely regarded as the best place in the world for wreck diving (check out some other great places for wreck diving if you’re interested!). Thanks to its sheltered position, the dive sites within Truk Lagoon enjoys fairly calm conditions and warm waters all year round. February is the dry season at Truk Lagoon, with excellent visibility ranging between 30-100ft (10-35m). Divers in search of a challenge can try drift diving past the outer drop-offs.